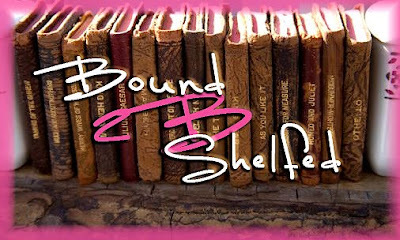 Used Book Comfort: Bound to be Shelfed? Being an impulsive bookworm I find myself always excited when i see used bookstores/ thrift stores along areas I tend to frequent. Although I have come to realize that I might have thrift bookshelf anxiety with certain books imparticular. Those being books that no matter what store I find myself in they are always at that thrift store and seem to always plague the shelves. So with that in mind I decided to blog about those notorious titles that I ALWAYS see on the shelves in hopes that someone might tell me (if they have read them that is) are there just too many people that have them are are they truly that "TERRIBLE?" that they are bound to be shelfed? Funny, I see exactly the same ones every time I go thrifting. My thought is that these are all over-produced popular best-sellers and there are some people out there who read books and then give them away (GASP!). So there is an over-abundance of the most popular ones. Good theory, eh? Anyway, I have read Davinci and Scarlet Letter and I really enjoyed them both. There are some others that I have but have yet to read, so I'll let you know! I was shocked to see the Harry Potters in the charity shops lately! My Harry Potter books have pride of place on my bookshelf right next to my Harry Potter dvds. How could anyone give them away??? Having said that, I do have a hard cover Deathly Hallows I'm going to give away on my blog sometime as I prefer the paperbacks.